Finally a big relief for state run operators BSNL and MTNL, the cabinet has decided to refund over Rs 11,000 crore to BSNL and MTNL in return for the BWA spectrum which was returned back in 2010. BSNL will now get Rs 6,724.51 crore as refund while MTNL will receive Rs 4,533.97 crore which will be done in staged manner over a period of time. BSNL and MTNL did not take part in the 2010 spectrum auction and had been asked to match the price paid by the successful bidder for the airwaves. Both companies offered to surrender their spectrum and sought refunds of payments made. 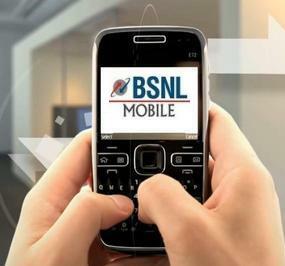 BSNL surrendered its spectrum Tamil Nadu, Karnataka, A.P , Gujarat Maharashtra and Kolkata. The proposal was approved by Group of ministers headed by Finance Minister P Chidambaram. What do you think at this move by the operator has the government delayed this process ? Can this help BSNL and MTNL to come out of the burden what they are facing as a reader what do you think do let us know via comments. Already 90 Days are elapsed from my surrender request date. Please do the need full as required. thanks Anoop for writing the truth.